Nymph’s Lair ~ New Adventure Fantasy Novella Released! 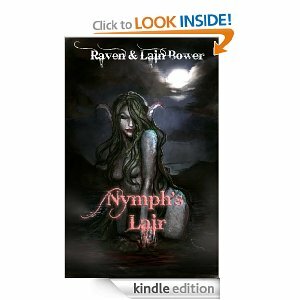 Posted by Raven Bower on September 08, 2012 in Books, News | Comments Off on Nymph’s Lair ~ New Adventure Fantasy Novella Released! For years, the barbarian warrior Roch has hunted the murderous pirate Victor Karn. Finally, through a vision from a beautiful witch, Roch is shown an opportunity to infiltrate the pirate’s crew, but to succeed he needs the fabled treasure of a seductive sea nymph. With his trusted dwarven companion Tigs at his side, Roch sets out to find and defeat the sea nymph. With a malicious stalker haunting their every move, the duo finds that surviving to face the nymph is a much greater challenge than they’d anticipated. Sentimental fact about the naming of a dwarf – My first dwarven character makes his debut in Nymph’s Lair and in honor of the event, he was named after a cuddly cat Tigs that passed on a few years ago. Live on Mr. Tigs.